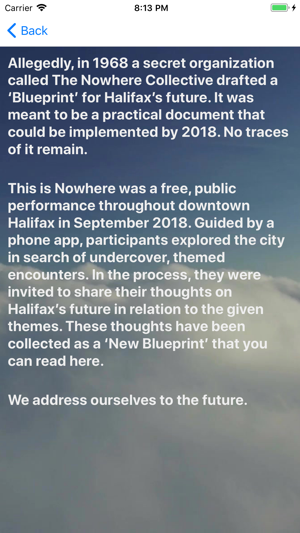 In September 2018, all of downtown Halifax Nova Scotia was the stage as Zuppa Theatre put on the groundbreaking theatrical experience "This Is Nowhere". 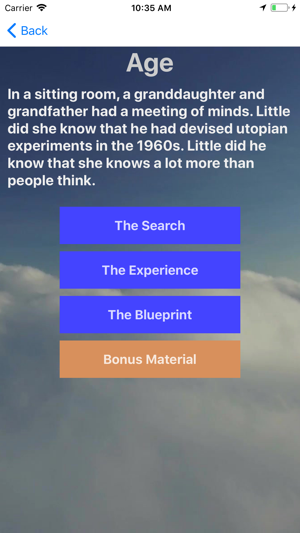 This app is the final record of that experience, featuring the original scavenger hunts, the complete audience-contributed blueprint, and notes, scripts, and photos for each of the scenes. 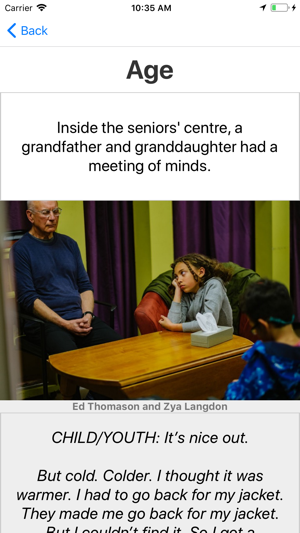 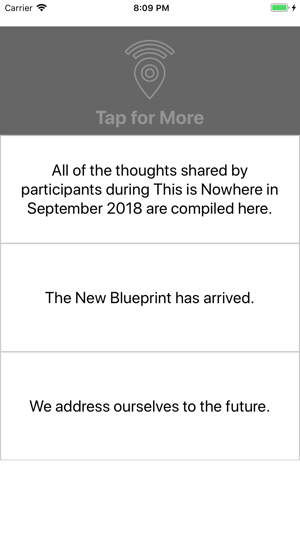 The app has now become a memento of the September 2018 production of This Is Nowhere, featuring photos and scripts from every location, as well as the complete group-contributed blueprint text. 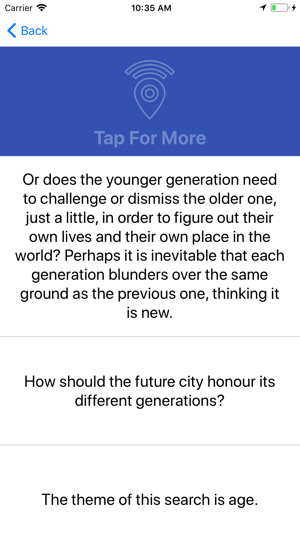 If you're in downtown Halifax, you can now do all of the scavenger hunts from the original production - and unlock bonus content when you find the locations. 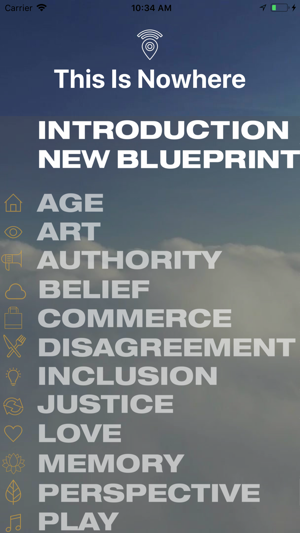 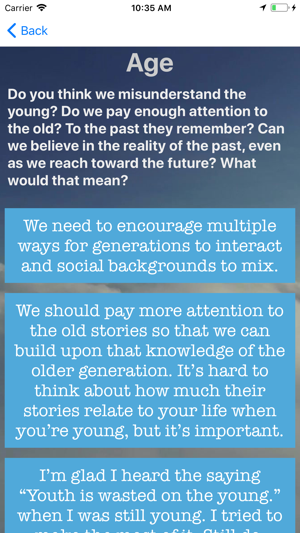 Version 2.0.1 includes a few small typo fixes.